A clogged shower drain can be annoying. Besides giving you an icky feeling while showering, over time it can send out an unpleasant odor. 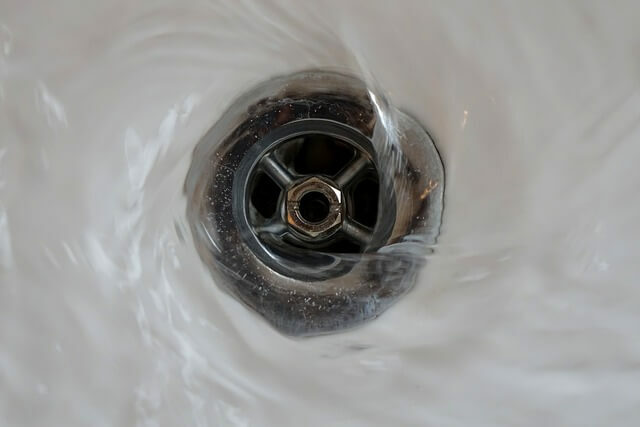 A clogged shower drain is usually the result of hair, soap scum, and other things from washing, and is one of the most common plumbing problems. The three methods below will address these types of common shower clogs. A drain snake (among other tools) is easily available in homeware stores. They are specifically designed to deal with a clogged shower drain. Make sure the drain snake you choose is large enough for your drain. Measure the width of your shower drain. A drain snake that’s too small can kink or get knotted up inside your shower drain, making it more difficult to remove the snake later. Also, a power snake with a 1/4″ cable is easier to use than a crank snake. Remove the shower drain grate. Remove loose hairs from it. Insert the snake into the drain and push it down. Start slow until you make it past the trap. First go about 10 feet then pull the snake back. Turn on the water and test the drain. If it’s still clogged up, run the snake further down. Keep the drain stopped up so you’ll know when the drain clears and is fixed. After the clogged shower drain is unclogged, flush the drain with vinegar and baking soda. This method requires baking soda + distilled white vinegar + boiling water + an old rag. For maximum efficiency, follow this method when the shower won’t be needed for at least a few hours. Pour 1/2 cup baking soda down the drain. Right after that pour 1/2 cup distilled white vinegar down the drain. Plug up the drain with the rag. The baking soda and vinegar will create a fizzling reaction that will push away the blockage. Leave it for a minimum of 20 minutes; a few hours is better. Boil a pan of water and pour it down the drain all at once. You can use a commercial product to more easily clear the drain blockage, but be sure to wear gloves, ventilate the room, and follow all the directions on the label. Caution: be sure not to splash yourself with any of the liquids; this warning also applies to method 2. As always, contact us for more information on commercial plumbing supplies or home fixtures.